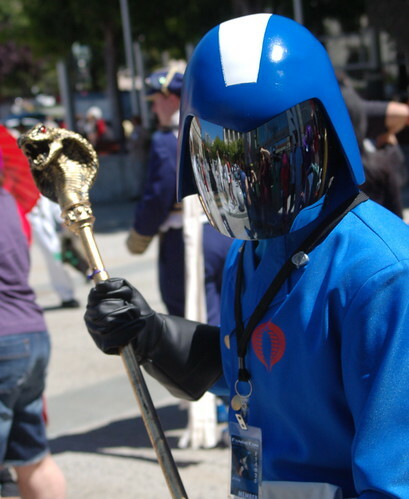 I love Cobra Commander, mostly because he is like a cult leader. According to the comic, the white strip on the helmet opens up and that is where the lock is. It would be cool to see that actually work on a costume. That costume at Fanime? Really?